In a rut always fishing nymphs under a bobber in the winter? Try leaving the bobbers home and dedicate your day to fishing streamers only. You may not catch the numbers you normally would especially this time of year but you may be surprised at the the quality of the trout you’ll tie into to and I’m guessing you’ll have more fun too! 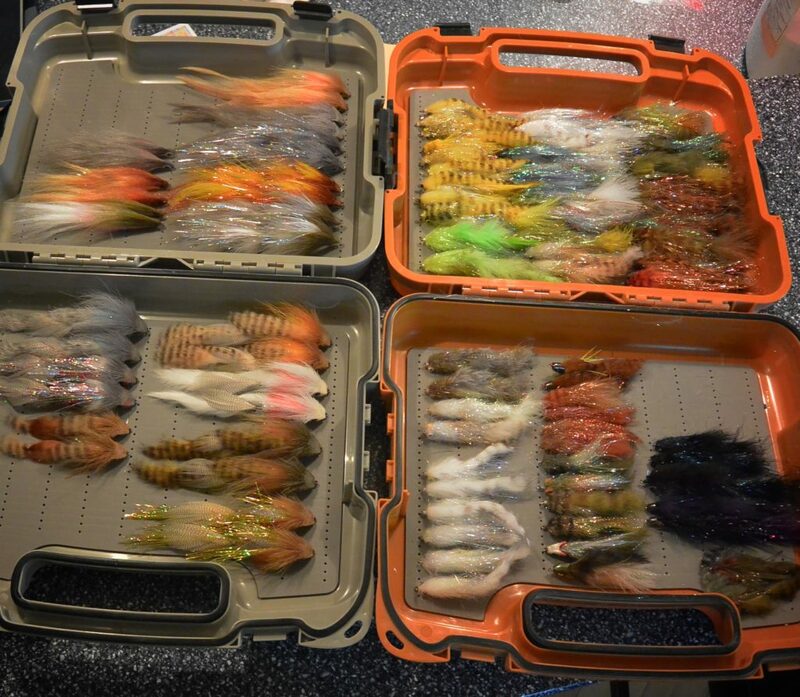 Here’s a how to on catching more trout on streamers during the dead of winter. Lower and slower~ Probably the single most important tip is to get your fly down deeper and slow down your presentation. your fly and give the fish time to come and get it. first mend and perhaps feed of line, keep mending upstream, slowing the swing speed of the fly. something neutral like olive then going to brighter colors like white. If white doesn’t get any strikes I’ll go back to darker tones, or good old black. 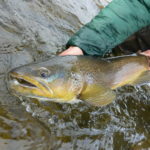 The Right Stuff ~ Fly rod and line choices should parallel the size of the water your fishing as well as the size of the fly and the fish your angling for. If you are fishing smaller creeks and streams, a nine foot five weight is most likely more than adequate. I usually fish a nine and a half foot six weight that’s loaded with a seven weight sink tip line. It loads in one back cast allowing me to spend less time false casting. For angling in big water, newer trout/spey models are becoming very popular. For fly lines I fish a sinking tip of about five to six feet with a fairly fast sink rate of six to seven inches per second. I like how Airflo’s Streamer Max sink tip fly line cast’s (like a shooting head) and gets the fly down quickly. I’ll cut off the front fifteen to eighteen feet of the twenty three feet of weighted tip on a seven weight which loads the six weight with enough grains to load the six rod properly. This will seem like a short tip to some but it’s easier to cast and manipulate a shorter tip. Heavier, faster water will require heavier and longer sinking tips to get your fly to the correct fishing depth. If a six foot sinking tip isn’t getting strikes, try a ten foot tip. If that’s not cutting it, go longer to a Teeny Fly Lines T200 or T300 grain twenty three foot tip, or add a little weight to the leader. The classic school of thought is keep going heavier until you find the ‘sweet spot’. 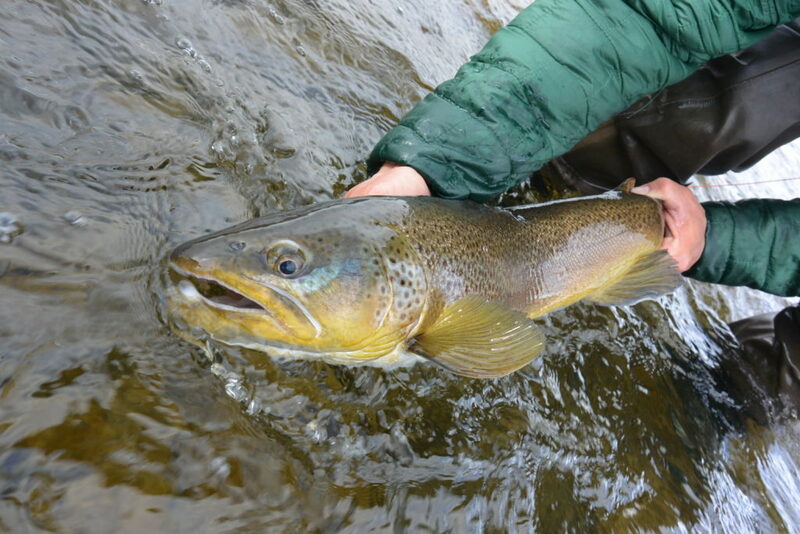 For a list of streamer patterns check out my Top 10 Streamers for Southwest Montana. To learn more about Montana fly fishing and guided trips in SW Montana go to mtfishtales.com.